My Chess Apps: Should Anand win the Candidates? 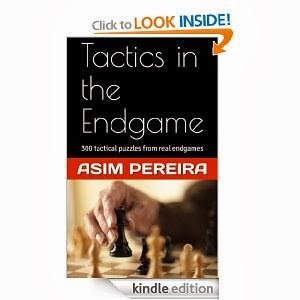 Note, the question is no longer, "Will Anand win the Candidates?" since this is now put to rest after the first 6 rounds. But my question is; should he? Today is a rest day for the players and me too (after a BIG Analyze This app release). So I thought it was a good day to rest a bit, take a break from programming and ponder over this Q. "Should Anand win the Candidates?!". Sounds dubious, doesn't it? After all, which player would not want to win a tournament and challenge Magnus Carlsen himself!? And which fan would not want his favorite star to win the Candidates? But should he? Before I start getting threat calls from Chennai, and Vishy himself 'unfriends' me on FB and stops following on Twitter, let me make it clear. I am a big Anand-fan and would like to see him play forever! There is no doubt about his stature. 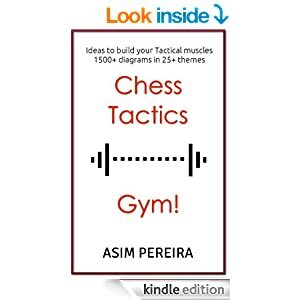 He is a legend who has single-handedly carried the expectations of a million Indians Chess fans (and one of the reason I quit my full-time job and started working on my Chess Apps and eBooks). He has won everything there was worth winning. And the way he is currently playing, is a treat to watch. Then, why this question? Scenario 1 : Anand plays badly here-after (r6) and ends up somewhere in the middle of the standing. This will be obviously bad for him and his fans, especially after a dream start like this. We fans and probably Anand himself would not have imagined that he would be in sole lead after 6 rounds! This will be quite disastrous. Scenario 2 : Anand wins the Candidates and the right to challenge Carlsen (again!). Many Chess fans would think this would be the easiest pairing for Carlsen and a lop-sided match. I am sure even Carlsen, would probably stop practicing on his Play Magnus app and stop drinking Orange Juice. He might even take up additional modelling assignments or sign-up a movie! ("Board Wars - Return of the Tiger" starring Liv Tyler and some south Indian dude). Anand will now need to spend months in intense preparation if he has to beat Carlsen. If Anand defeats Carlsen, does it make Anand more greater than he already is? It would be another feather in his overcrowded hat and an impossible comeback! But at some point, the new generation has to overtake the older while the legends fade, and that is perfectly natural! If Anand loses again, the cycle repeats!? Scenario 3 : Anand narrowly misses the ticket and finishes 2nd in the Candidates. Probably Aronian beats him on tiebreaks. Fans will definitely be sympathetic towards Anand and be happy that against all odds, he played a superb tournament and the "tiger is back". No hard feelings. 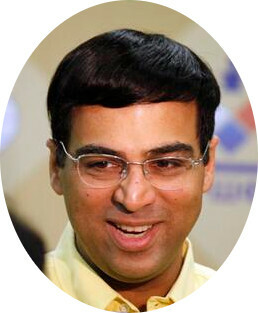 Even Anand would feel good about his performance. Anand goes on a nice extended holiday with his family, feeling content that he performed his best and came very close to winning it. He gains a dozen rating points and is having a good time, till his next tournament. Less pressure! What do you think? Should Anand win the Candidates?